If you have a love of fashion or an eye for trends, starting your own fashion-centric business can be extremely rewarding. Entering the world of fashion doesn’t mean you’ll need to sell clothing or become a designer. This industry offers a number of business opportunities for anyone from a personal stylist or fashion consultant to a savvy salesperson putting out catchy t-shirt ideas. In this guide, we discuss a number of excellent business opportunities for fashion lovers of all stripes. We’ve broken down each business to include startup costs, the skill level required to get into the business, and the earning potential for each field, to help you better determine what business venture is right for you. A clothing boutique can be an excellent business venture for a motivated self-starter who loves fashion. More so than a standard retail store, a boutique offers a higher end, more customized product, allowing owners to showcase their personal style and promote products they love. While no formal training is needed to get started, there is often a more personalized approach when it comes to helping customers find what they’re looking for. As such, strong interpersonal skills, good business sense, and a background in sales can all come in handy. The cost of opening your boutique can vary greatly based on size, location, and the source of your products, with business owners reporting startup costs anywhere from $50,000 to $250,000. Earning potential will generally ebb and flow with the economy, but profit margins for the clothing industry have reached as high as 81%, making this a strong pursuit for the savvy entrepreneur. Starting a clothing line is not for everyone. It takes both artistic skill as well as solid business know-how. But, for those with the talent, drive, and love of fashion, starting your own clothing line can be an extremely rewarding endeavor. Clothing line businesses come in all sizes, from a small online shop to internationally recognized brands. If you’re looking to keep things small, you can start this business for as little as a few thousand dollars for materials, a sewing machine, and a website. Those looking to open a retail store will be looking at up to $500,000 for location, materials, manufacturing, branding, and marketing. The earning potential for a clothing line also varies dramatically depending on the profit margin you’re able to earn, which will be based on a number of factors from materials and manufacturing costs to the quality and popularity of your brand. A fashion consulting business is a great option for an outgoing, insightful person with an eye for fashion. It can be a particularly good opportunity for those with extensive retail experience who find they enjoy working with customers and curating looks. While no formal education is required, a degree in a fashion related field can help enhance your reputation when first starting out. The cost of starting this business is very low, since most consultants work from home, with nothing more than a website and some marketing to get things started. As such, the earning potential for this business is good, with the average fashion consultant bringing in $53,000 per year. This number can rise considerable based on your location and client base, with fashion consultants in big cities like New York charging up to $150 per hour for their services. A formal wear rental business is a great venture for outgoing, style-conscious individuals. Formal suits and dresses can be a huge financial burden, making this business a great way to help people look great without breaking the bank. There are no formal education requirements to get into this business. The most successful business owners will be those who can build trust among their customers by offering high-quality products that exceed expectations. Startup costs will vary based on location, inventory, and if you choose to open an independent store or purchase a franchise. While franchising can cost more than standalone businesses - anywhere from $100,000-$250,000 - you do get the benefit of name recognition built into that price. Much like startup costs, earning potential will vary from place to place and business to business. However, a successful, reputable rental business can see respectable profits over time. Opening a haberdashery is a great option for fashion-minded individuals looking for a unique business idea. This business offers a great deal of flexibility since it can easily be run both online, in a brick and mortar store, or both. Startup costs will vary widely depending on the type of hat(s) you choose to sell and how you sell them, but can generally be kept fairly low. Many businesses can be run out of your home since your inventory can be easily stored in a small space. Even those who choose to open a storefront can choose smaller, less expensive spaces such as mall kiosks. Earning potential is strong with this business since the cost of materials and manufacturing can be kept low. Smaller businesses can see profits starting around $40,000 annually, while major international brands are bringing in millions each year. For those with retail experience, fashion know-how, and a love of high quality, well-crafted products, opening a leather business can be a fun and rewarding pursuit. It can also be a very flexible business, lending itself well to online retail. A background in fashion or retail is a great advantage but is not required. Startup costs will depend on the specifics of your business plan. If you plan to sell pre-crafted items from home, your primary cost will be developing your inventory. For those looking to open a storefront, costs will increase significantly by renting your space and keeping the shelves stocked. Finally, those who intend to create or repair leather products will need the necessary tools and materials to do so. Regardless of how you shape your business, earning potential is strong. Leather remains a timeless fashion staple, allowing business owners to maintain loyal customers for years to come. For a self-starter who enjoys keeping up with trends, a t-shirt business can be both fun and lucrative. Business owners should have both creative and artistic skills as well as technical know-how when it comes to choosing the best printing techniques. Some previous business experience is helpful, but not required. Starting a t-shirt business can have very little overhead, especially with so many high-quality print-on-demand services out there today. Most businesses can get started with little more than a few great design ideas. Many choose to remain entirely online, but some of the most successful t-shirt businesses have expanded into the retail market as well. While most businesses will remain small, some of the most successful ones are bringing in annual sales of over $100 million dollars. A personal styling business is ideal for someone with previous experience in fashion, hair care, cosmetics, or a related field. While no formal training is required, an established network of potential clients can be very helpful in getting off the ground. Those who already work in fields like broadcasting, cosmetology, or public relations will often have a leg up. You’ll also need to have excellent communication skills and enjoy working closely with people one-on-one. Startup costs for a personal styling business are low. You can generally get things up and running for around $3,000, with the bulk of that going toward local advertising. Earning potential will vary greatly depending on location and how many clients you’re able to handle at once. Because of low overhead, a stable personal styling business can bring in close to $80,000 per year. Whether you have experienced the frustration of finding the right fit or have a passion for making fashion accessible to all, opening a plus-size clothing store can be a great business venture. No formal education is required, but a background in fashion and/or retail can be a great asset. You may even consider taking the IAP Career College online Boutique Owner Certificate Course. Startup costs can be substantial, with the average clothing boutique running between $50,000 to $150,000 to open. Space and inventory will account for the bulk of your expenses. 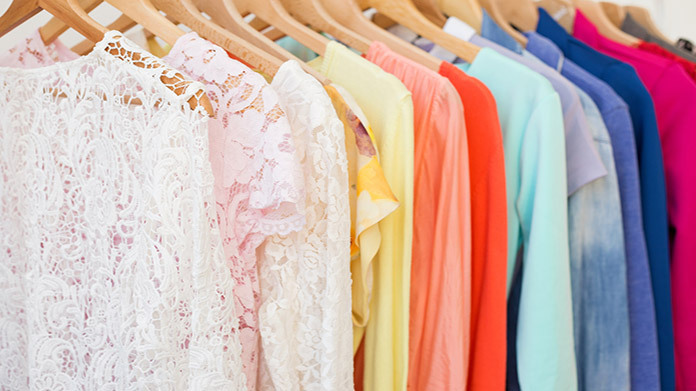 To keep costs down, business owners should look for low-rent commercial space or consider specializing in a specific type of clothing to minimize inventory. Your business may remain small, but with a good deal of space to expand in the market, there is great potential for growth. A purse business can be a good fit for people with a variety of backgrounds. You may have a keen eye for the next trend or retail experience in purse and handbag sales. Others may be looking to design their own bags to sell. Those with experience in fashion and/or retail will have a leg up, but a passion for the industry is vital. Startup costs are high, with the average business owner investing at least $50,000 to get started. You can keep costs down early on by beginning your business online, but will still need to put a good deal of money into obtaining a solid inventory. Once you open a brick and mortar store, the location will be an essential part of your success. If you understand your target market and find the perfect location, a purse store can be a very profitable venture. Starting your own shoe line takes a good deal of vision and talent. Ideally, you’ll have experience in both design and business management, to handle the many moving parts involved in designing, manufacturing, and selling shoes. Getting a line up and running will require a sizeable investment. A successful shoe line will require investing in high-quality/images/business-ideas/icons/med-blue.png materials and manufacturing. Costs will vary based on the types of shoes, the size of your operation, and your geographic location. Many in the industry suggest an initial investment of $200,000, but others have begun with much less. With Americans spending $30 million each year on footwear, the opportunities for growth are endless. For shoe lovers not ready or interested in taking the plunge into design, opening a shoe store can be a great way to get into the business. Shoe store owners should have an excellent eye for fashion and a strong business sense. Choosing a niche area like athletic or dress shoes can be a great way to focus your business and shape it around your personal interests or previous experience. Startup costs for a shoe store can be high. If you’re planning to open a franchise, you should expect to invest at least $10,000. When you take into account marketing and inventory, early costs can reach above $60,000, with high-end stores costing much more. There is, however, good potential for growth. While many shoe stores remain local mainstays, the most successful have become national or even global brands. Starting your own sunglasses line can be a great way to break into the design field. The right owner will have an excellent eye for design and style. While no specialized knowledge is required, you should have a basic understanding of how your idea will go from concept to product. It is also important to follow safety guidelines for creating products with UV protection. Startup costs will vary depending on your location and the type and style of products you intend to design and produce. This is a competitive industry, so finding a way to create unique products and a memorable business will help you succeed. Growth and earning potential will depend on several factors including your target market, your geographic location, and the size of your product markup. While you may remain a small, online outfit, a sunglasses business has the potential to grow into a national or international brand. If you are not interested in designing your own sunglasses but would like to tap into this market, opening your own sunglasses store is a great option. The ideal owner will have a strong eye for fashion and the ability to select inventory that sells. Previous sales experience can be extremely valuable as you begin to build your customer base. Upfront expenses are largely dependent on your storefront location and the merchandise you choose to invest in. You can lower costs by running your business online or starting out with a small stand or kiosk before expanding into a larger space. Because virtually everyone will shop for sunglasses at some point, there is an excellent opportunity for growth in this market. Earning potential is also high based on low material costs, low shipping costs, and very high-profit margins. If you have a love of fashion and a talent for sewing, opening your own sewing business can be an excellent full or part-time venture. While this is best suited for those who already have a high skill level, there are a number of educational opportunities out there for anyone looking to learn the craft. Because a sewing business can easily be operated from your home, the startup costs are generally fairly low. You may already have much of the equipment needed to begin and can integrate the cost of your materials into the price you charge your customers. The growth potential for a sewing business is excellent, with an annual income ranging from approximately $28,000 to almost $110,000 depending on the level of expertise and the location of the business.